Fujifilm has expanded its highly-acclaimed FinePix F-Series with new Fujifilm FinePix F300EXR (F305EXR). The F300EXR is a slim, compact super-zoom digital camera which featured with a 12 MP EXR Super CCD, 24mm wide-angle Fujinon 15X zoom lens, high sensitivity ISO 12,800, Intelligent Image Stabilization and 720p HD movie capture, aiming to bring your photography experience to a next level. 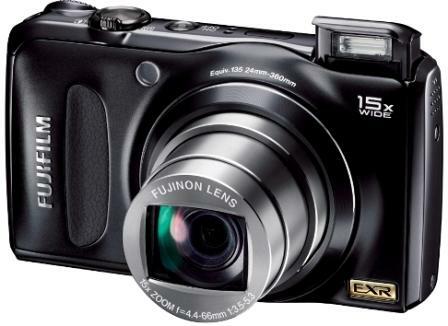 Fujifilm FinePix F300EXR which measures 4.1(W) x 2.3(H) x 1.3(D) inches and weighs 195 grams is slated to hit the market in late August 2010 for around $330.